You can enjoy green tea as a relaxing beverage or as a seasoning in savory dishes and desserts. 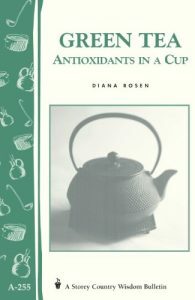 Discover new ways to integrate green tea into your day with these titles from our digital collections! Green Tea: Antioxidants in a Cup discusses eleven reasons to drink green tea, including lowering the risk of cancer and cardiovascular disease; improving dental health and bone density; prevents infection; strengthens cholesterol; and more! Featuring 50 quick and easy recipes! The ultimate guide to the nutritional powerhouse supplement praised as "green gold" for its curative, health-boosting qualities. 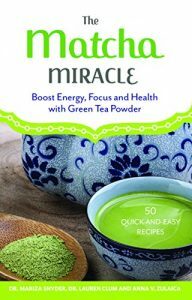 Increase energy, torch calories, and improve your immunity with the antioxidant-packed magic of matcha green tea powder! This handy book serves up all the vital information on how to maximize the benefits of this miraculous superfood. Go beyond tea with this mouthwatering collection of matcha-boosted recipes for every meal of the day, including: Matcha Cranberry Scones, Matcha Chia Pudding, Poached Eggs on Matcha Hash, Candied Matcha Carrots, Sriracha Matcha Salmon, Matcha Curry Lentils, Cauliflower Matcha Stir-Fry, and Chocolate Matcha Truffles. 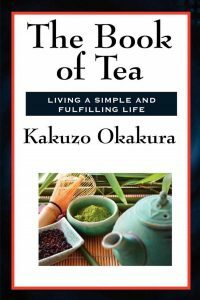 The Book of Tea by Okakura Kakuzo shows how tea has affected nearly every aspect of Japanese culture, thought, and life. In this book the author explains tea in the context of Zen and Taoism as well as the secular aspects of Tea and Japanese life. This book emphasizes how Teaism taught the Japanese many things; most importantly, simplicity. Kakuzo argues that this tea-induced simplicity affected Japanese art and architecture. A clear guide to living a simple and fulfilling life. Wilder Publications is a green publisher. All of our books are printed to order. This reduces waste and helps us keep prices low while greatly reducing our impact on the environment. 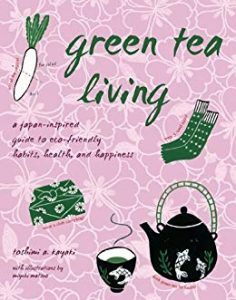 Starting with the notion that some traditions--like drinking green tea for health and mental acuity--embody timeless wisdom for living, Toshimi A. Kayaki offers dozens of wise old Japanese ways for improving how you look and feel while respecting nature and the environment. Carry your own pair of chopsticks, wear five-toe socks, eat salty plums, use rice water as floor wax, do "eco-laundry," and always set aside 10 percent for savings . . . you get the idea. By leading a "green tea life," you'll help yourself and the planet.